Heparin is an anticoagulant medication. It is often prescribed for people with heart disease and those who have suffered heart attacks to keep the blood from clotting. Since vitamin K helps the blood to clot, it essentially has the opposite effect of Heparin. 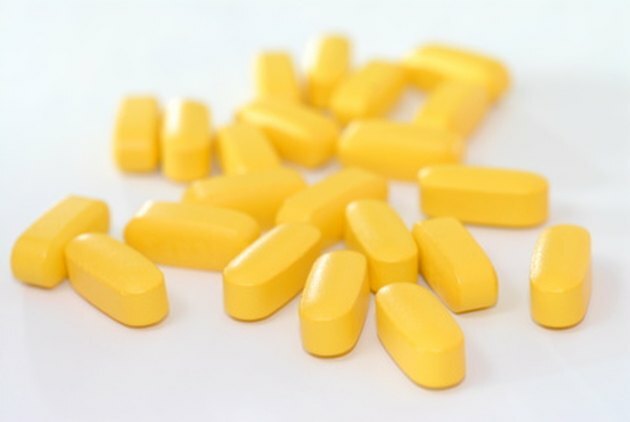 As a result, people taking Heparin need to monitor their intake of Vitamin K. According to the American Dietetic Association, Vitamin K needs to be taken in consistent amounts daily so that the doctor can prescribe the correct dose of Heparin. A registered dietitian can help you determine a consistent daily intake of Vitamin K.
Vegetables are the primary source of Vitamin K. The highest concentration of Vitamin K is found in the peel and outer leaves of vegetables. The darker green the vegetable is, the more Vitamin K it contains. For this reason people often refer to Vitamin K in “dark leafy greens”. 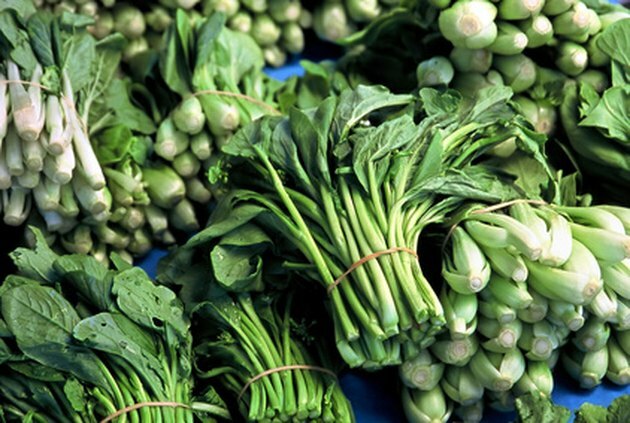 According to the USDA National Nutrient Database, vegetables with high amounts of Vitamin K—about half of the recommended dietary intake per half cup—includes asparagus, bran, broccoli, Brussels sprouts, raw green cabbage, cauliflower, chayote leaf, chickpeas, raw chives, collard greens, coriander leaf, cucumber peel, endive, green tomato, kale, lettuce, lentils, mint, mung beans, mustard greens, oats, purslane, romaine lettuce, scallions, seaweed, soybeans, spinach, swiss chard, turnip greens and watercress. Vitamin K is a fat soluble vitamin, meaning it needs a fat molecule to be bound to it to be absorbed by the body. Vitamin K is found in significant amounts in canola oil, soybean oil, beef, chicken and pork liver; egg yolk, green tea leaves, algae and green apples. Herbal supplements have been shown to interact with Heparin and should not be taken unless approved by a doctor. Herbs known to interact with vitamin K include bilberry, bromelains, coenzyme Q-10, danshen, dong quai, feverfew, garlic, ginger, ginkgo biloba, ginseng, horse chestnut, meadowsweet, St John’s wort, turmeric and willow.